Available weekly to all drop sites except Cougar and Elephant--available to those sites the 3rd week of every month. 60% dark chocolate. This is the mildest of the dark chocolates and suitable for those who love dark and those who love milk chocolate. It is smooth and delicious. Perfect for any use! All organic, biodynamic and soy free chocolates! Pacari is recognized for producing some of the world's best chocolates. They have received international awards for quality and taste. It is established as a leader in the organic and biodynamic agricultural movement with noted emphasis on social responsibility in Ecuador. 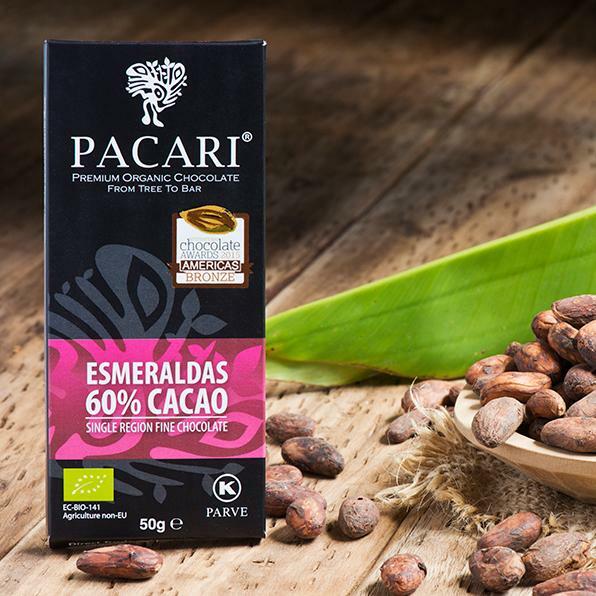 Pacari works by the hand of 3500 small scale organic cacao farmers, in a strong relationship defined by equality, justice and an overall love for the environment. All products are soy free.